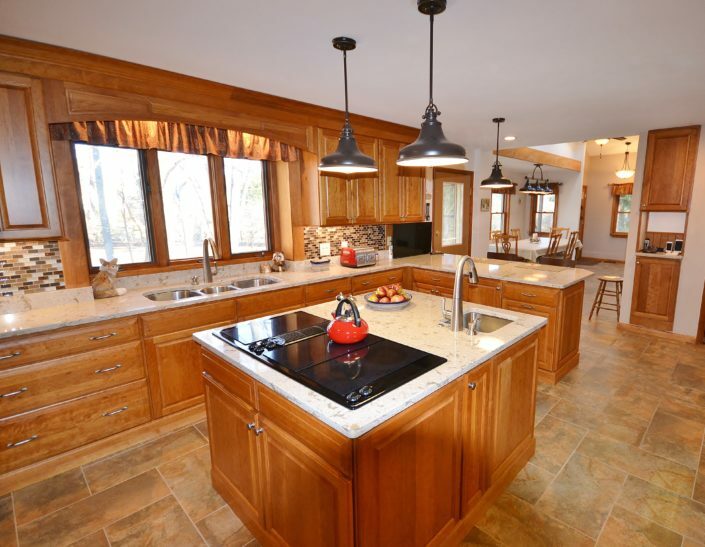 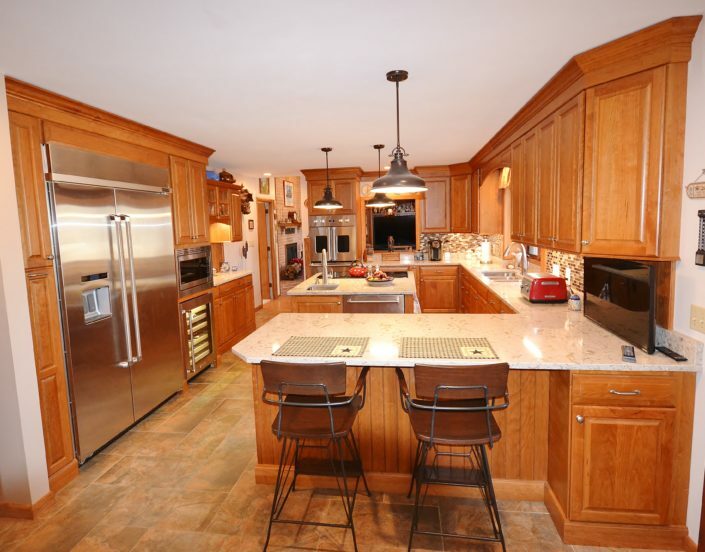 These clients wanted a traditional kitchen with warm wood tones. We designed the new kitchen using Fieldstone Cabinetry in the Bainbridge ( raised panel ) door style in a Butterscotch stained finish. 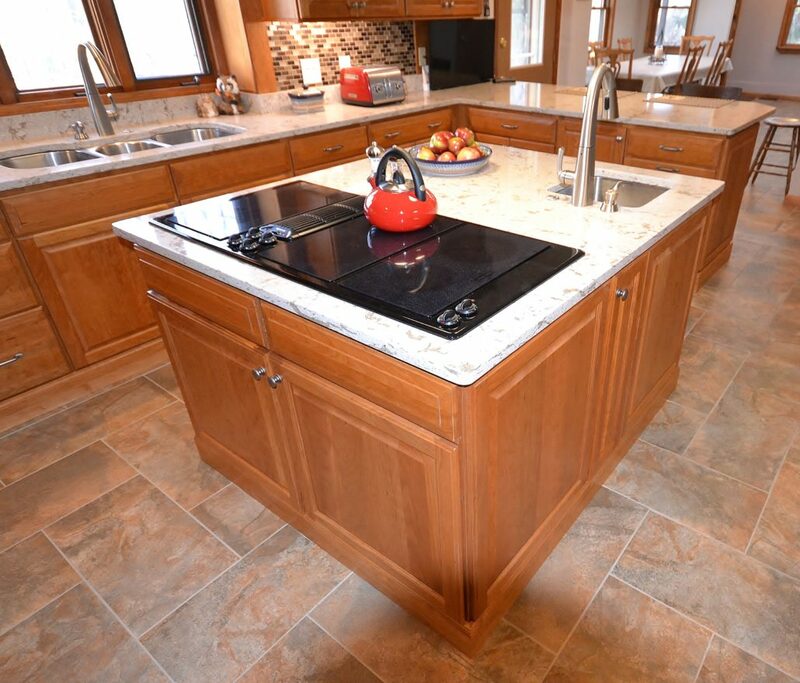 This is a classic look and color that is timeless. 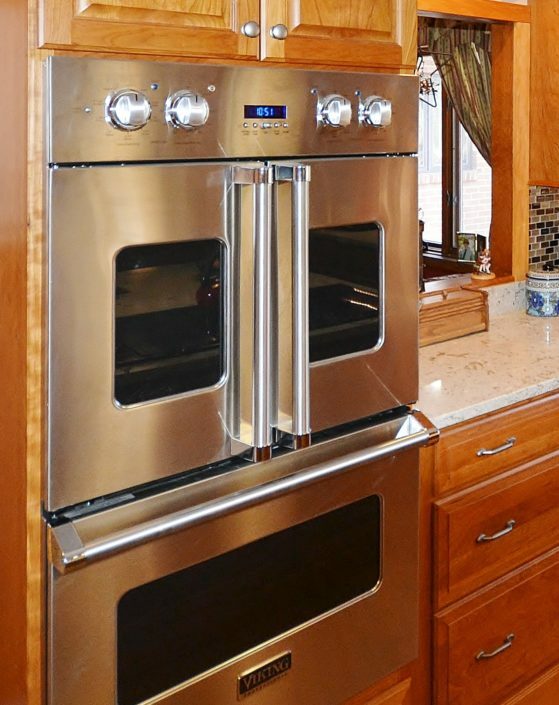 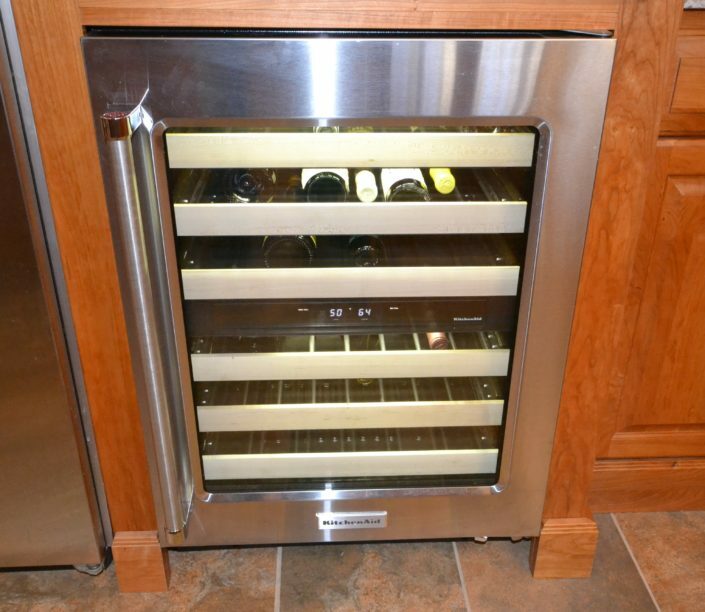 The new kitchen has all the bells and whistles along with fresh new stainless steel appliances including a new 48” fridge, wine fridge, and double ovens. 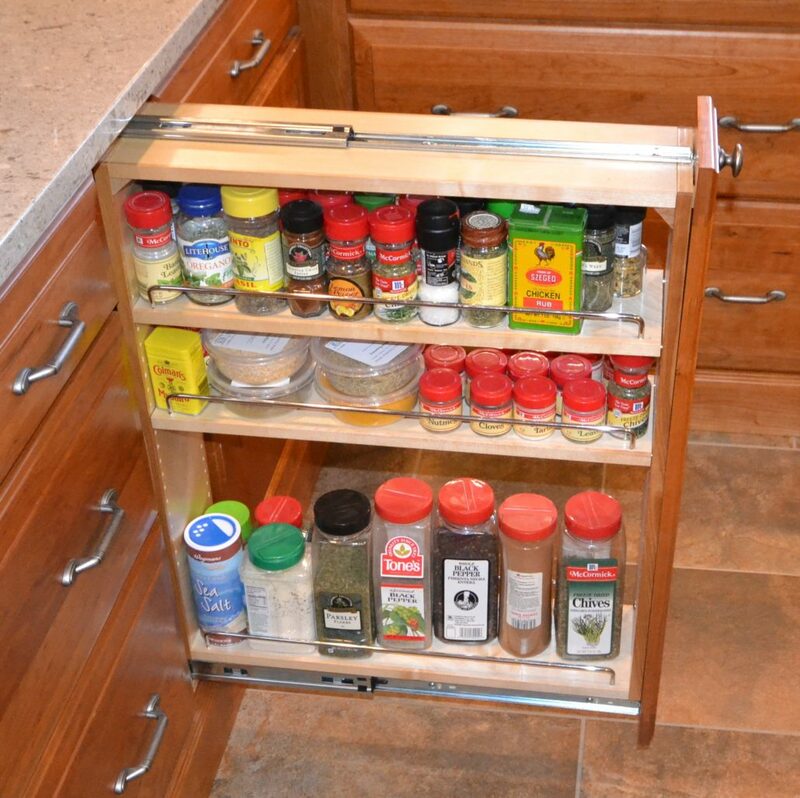 Pull out base and pantry storage, a new mixer lift cabinet, and pull out corner cabinet help keep everything organized. 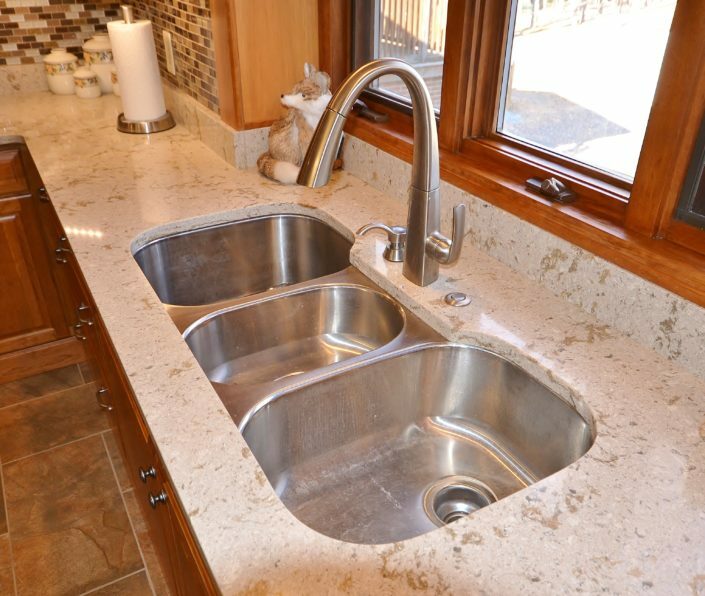 Cambria Quartz countertops in Windermere surround the kitchen providing a worry free no maintenance countertop surface. 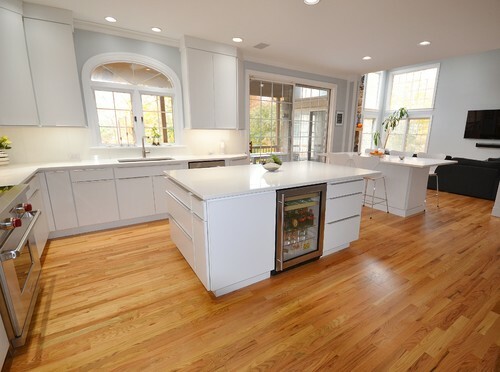 This new kitchen has plenty of great new storage, lots of convenient prepping areas, and plenty of seating for socializing.